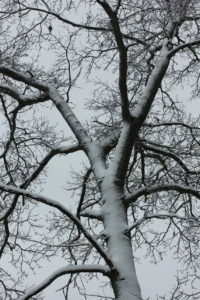 Monday morning we awoke to the season’s first heavy snow. Branches had fallen, including a tree that took out the power to my neighborhood. We survived the one day outage, and got to enjoy a morning of cross-country skiing on Wednesday. There’s nothing more magical than that first snow. Every twig and branch sparkled. We haven’t had school-aged kids for almost 10 years, but I still smiled when I heard the no school announcement! I headed out with my camera to enjoy the wonder. The fresh whiteness was soon covered with dog tracks and boot prints. Thank you, Irene–and thanks to Tabatha for organizing the poetry swap! Be sure to visit Carol’s Corner for today’s Poetry Friday roundup. This entry was posted in Uncategorized on November 30, 2018 by Buffy Silverman. Buffy, this post is just delightful. I’ve started recycling old and weeded books. I so agree that the treasures that books hold go beyond just the pages. I’ve made all kinds of things from old books. It’s very satisfying. I hope you are enjoying this special time of the year and look forward to you hosting Poetry Friday next week. What a fun gift full of all kinds of reused and recycled goodies…including your own words! Hi Buffy – I’ve been retired from teaching for eight years, but very little compares with the gift of a snow day! 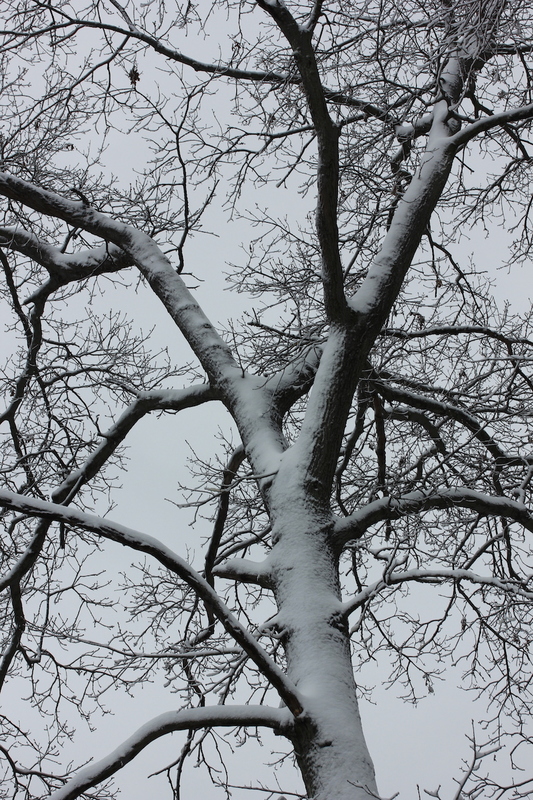 Thanks for the lovely reflection on first snow, and the great idea of poetry swap (is that through the Poetry Friday group?) happy winter! I saw your pictures on FB & it is a beautiful snow. We’ve had a bit tonight, then more coming on Sunday. How wonderful that you got to get out with your husband and play! 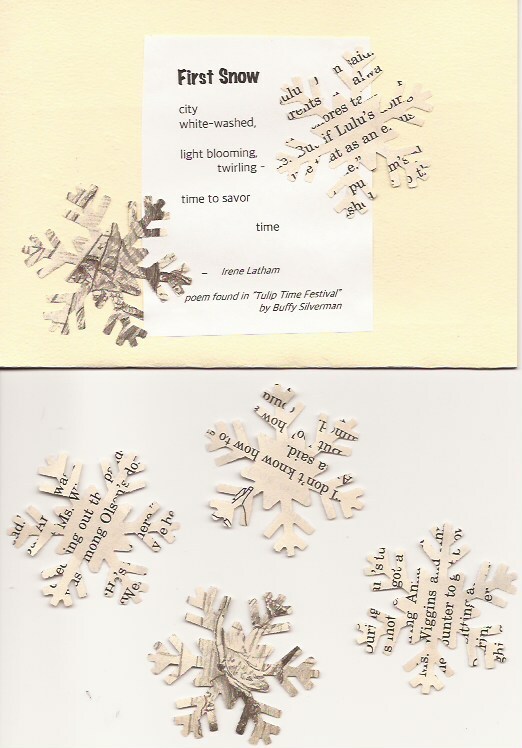 And Irene’s poem & the snowflakes are just perfect for you, today, who did take “time”. I think a snow day is always big fun, whether you are 14 or 64I love Colorado snow, that lasts for a day or two, then melts off. Not so excited about East Coast snow, that lasts and lasts and lasts. And I definitely LOVE Irene’s gift. I want to try making some snowflakes like this! 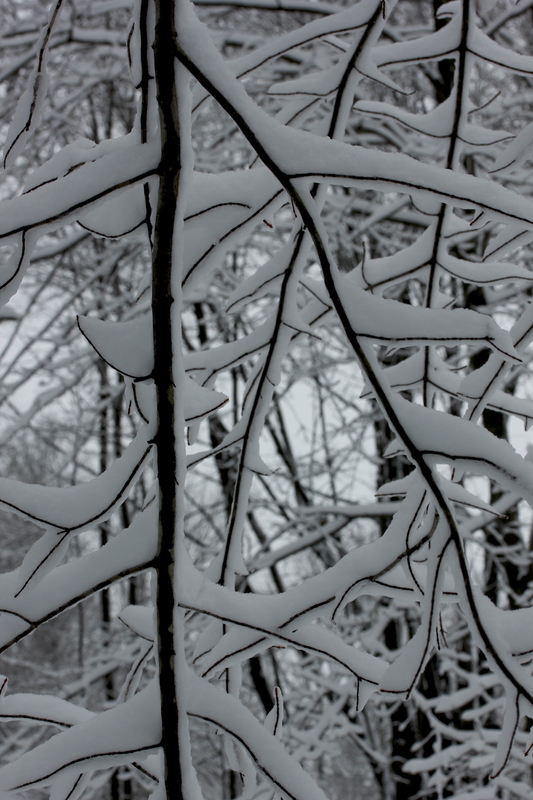 Certainly nothing like the magic of a first snow. 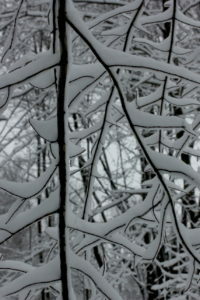 Love the pics and Irene’s poem and snowflakes!! I love your snow pictures and I love the fun presents you poets always seem to be sending to one another.